I just love this tiny, probably 19”, touring frame. It may have what to many will seem like old fashioned track forks but it simply oozes some of the best Major had to offer in later life. 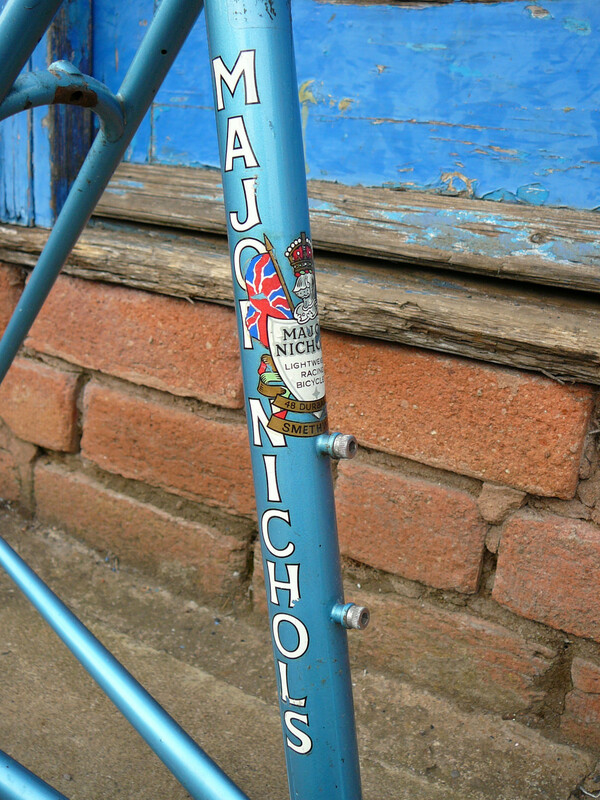 One might even speculate that it is a marriage of a frame and earlier forks to fulfil a specific job to make a very strong small frame as a club/tourer with 3 bottles. The bottle bosses are from the early 70’s and he used them as late as Joe Bunik’s in 82. 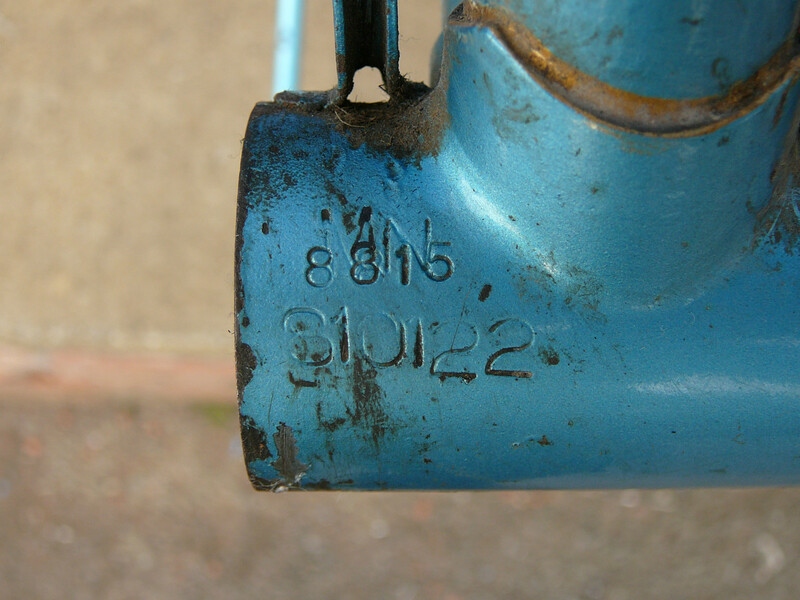 It would be good to know the number on the steerer which might help date the build more accurately. 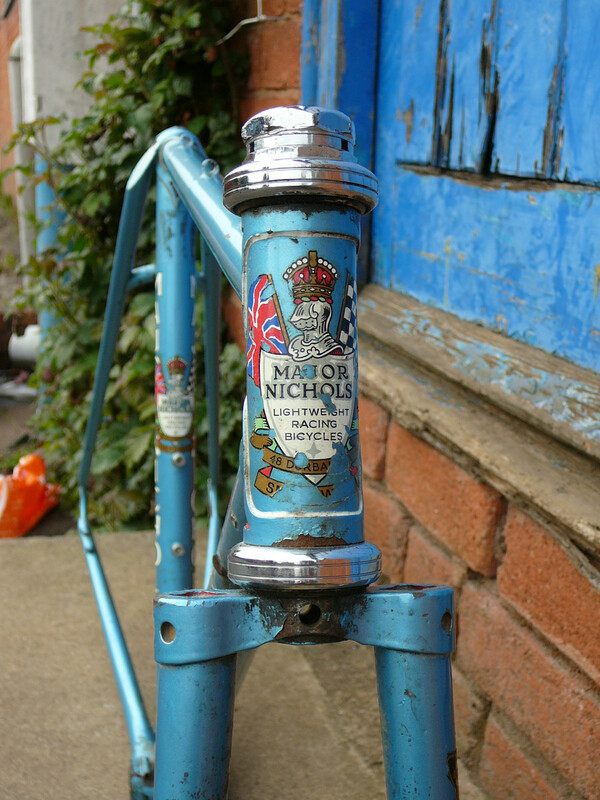 Prugnat style, probably Haden Royal Sovereign lugs which were extensively used by Raleigh’s special bike unit at Worksop and then Nottingham. Zeus round blade forkcrown, mudguard eyes, top tube cable guides, braze on stop for band on levers, off side rear derailleur guide and a cable stop and guide on O/S chainstay. 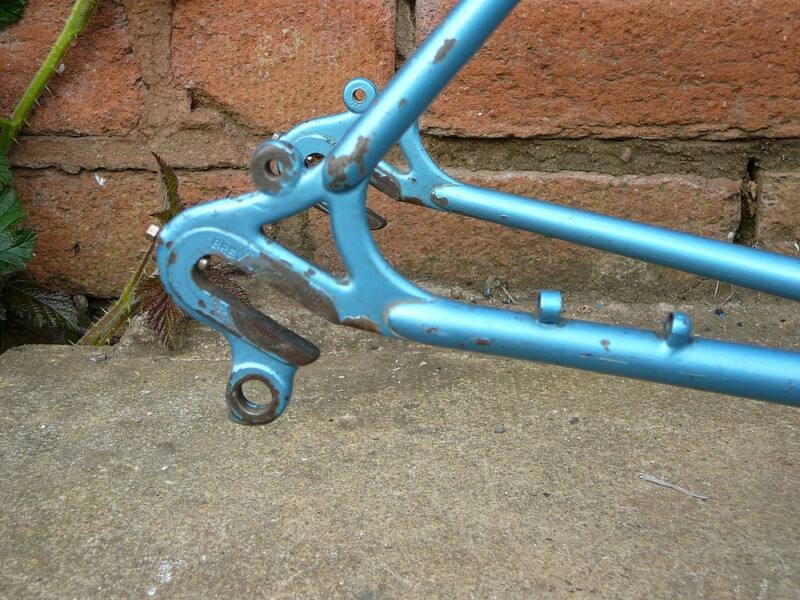 Reinforced curved seatstay bridge and straight chainstay bridge. It looks like but may not be, a wrapover seat stay with small panels. Light reflection doesn’t help and obscures any icon decoration. Campagnolo dropouts and headset. 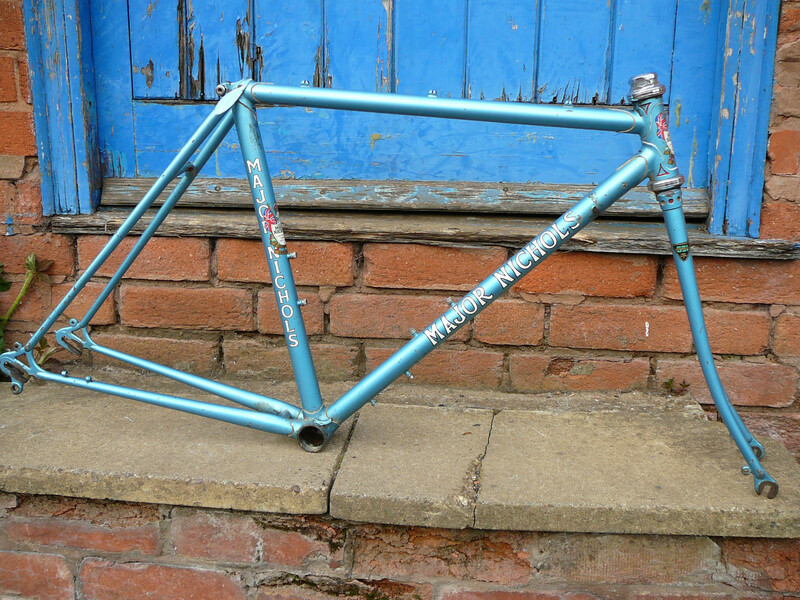 The Reynolds 531 fork transfer is the post 72 one which was superseded in about 1978. Full sets of D/T and S/T transfers and 3 lining colours and particularly the out of date fork transfers suggest one of his own spray jobs. Yes, I do covert it despite its lack of age! Any extra history would be appreciated if you own or owned her.